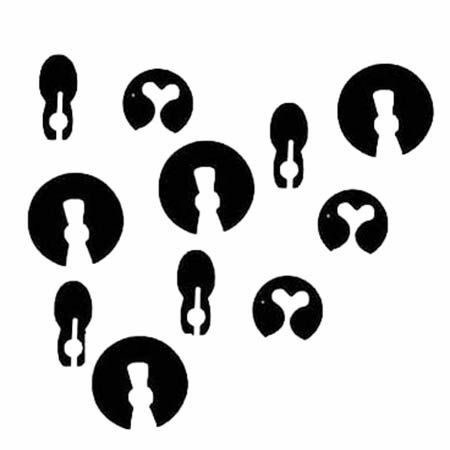 If you need the clock hands, see the clock hands page. 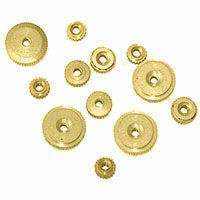 The most popular items on this clock parts page would be the German hand nuts and the taper pins. If you order glass be sure to get the correct size as these are returned and swapped often. The glass has to fit into the bezel and has to be perfect, not small so it falls out of the bezel and not so big it will not fits into the bezel clips. German Hand Nuts12 Assorted hand nuts for German movements. 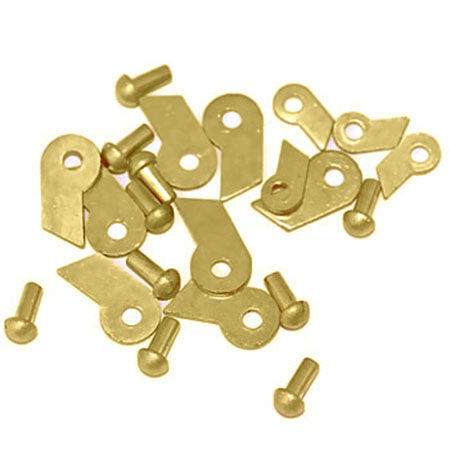 With this assortment of hand nuts you will get one for your German movement with no problem.However these hand nuts will not work on a cuckoo clock those are under cuckoo parts. 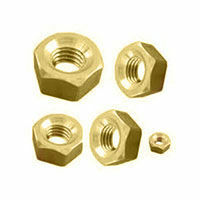 American Hand Nuts6 American hand nuts. 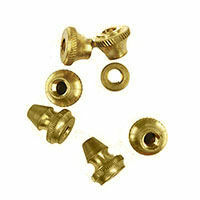 These hand nuts fit the most antique clock movements that are made in the USA. 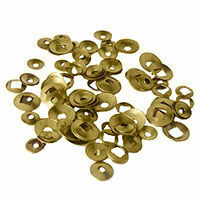 They come mixed in steel and brass colorations. 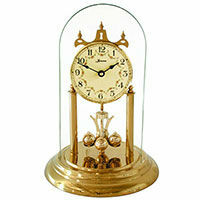 Pendulum NutsPendulum nut assortment of 6 for floor clocks and wall clocks. 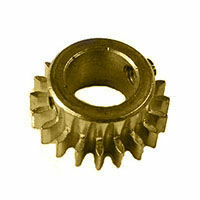 Turning the nut so to raise the bob will speed up the clocks time, lowering the bob will slow the clocks time. Clock NutsThis is an assortment of 100 various sized clock hex nuts that are common in clock repair. 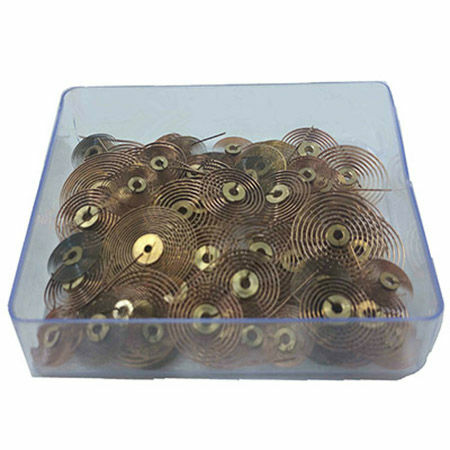 36pc Click Spring AssortmentThese are the small springs that hold the click into the click wheel so the clock will wind in only one direction. 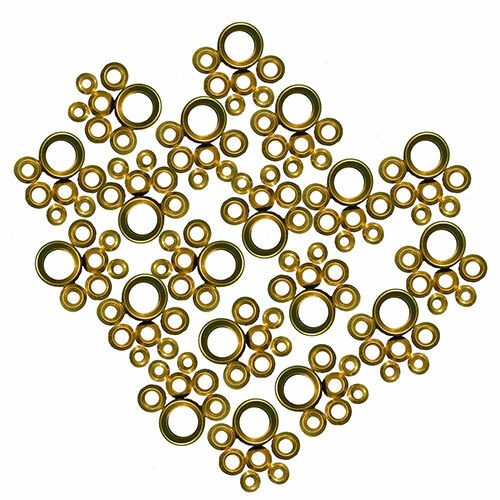 There are 36 springs in the assortment. 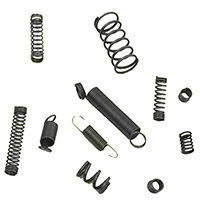 These are mixed springs for German, French and more. 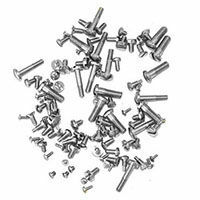 Clicks & Rivets50 Mixed sized clicks and rivets. 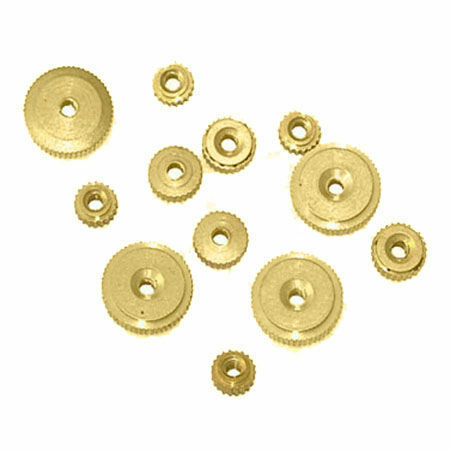 Clicks hold the mainspring in the coiled position during and after winding the clock. 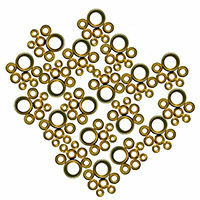 Please use caution when working with mainsprings. Clicks, Wires & RivetsThe wires are preinstalled on the 6 clicks and come with 6 rivets to attach them to the main wheel. Used on many American 8 day time/strike movements. Use caution and read up first in our Ebook before working with mainsprings. 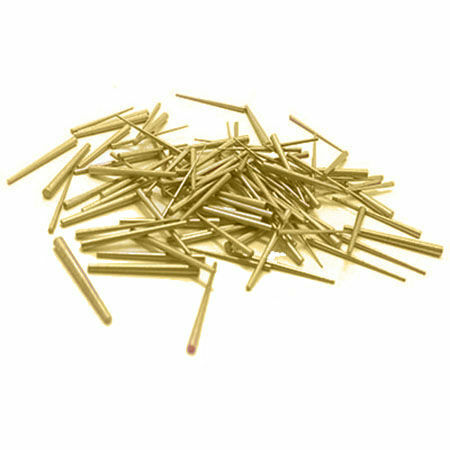 Tapered Pins100 Brass tapered pins with various diameters. 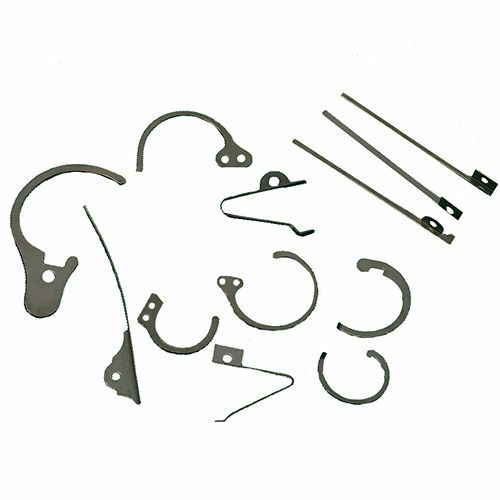 These Clock Parts have many uses in clock repair. 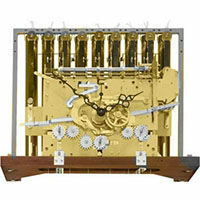 They attach some dials, movement plates, suspensions and sometimes hands on the clock. Clock Hand Washers100 Assorted mixed clock hand washers. 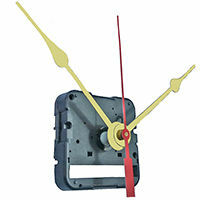 These go on top the minute hand on some clocks to maintain tension so the hand does not flop around. 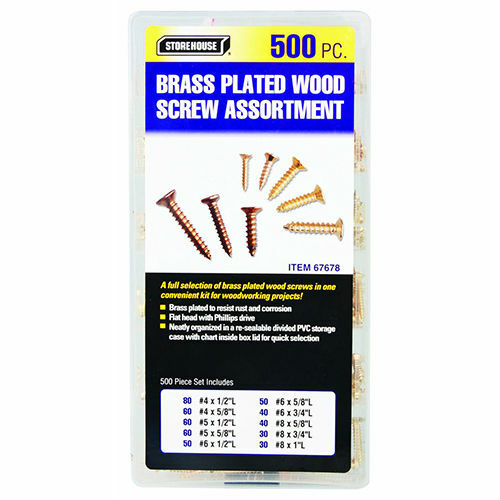 500pc Wood Screw AstA very large assortment of smaller sized wood screws all brass tone for case work or movement mounting. 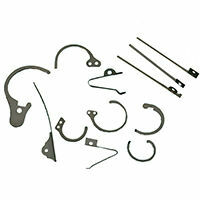 This is the best assortment for mounting mantle or cuckoo clock sized clock movements. 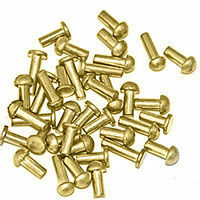 Rivets AssortPack of 100 brass rivets assorted sizes and lengths. E Style WashersSplit washers are similar to C clips as they attach various parts to the movement. 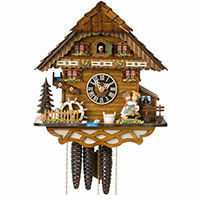 These are usually used more on cuckoo clocks. 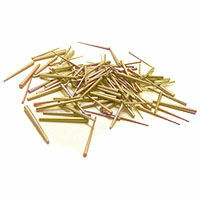 There is 100 mixed sizes in this pack. 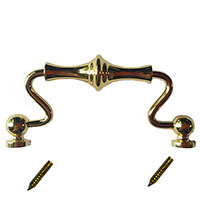 Bracket Clock Handle3 1/2 inch wide, 1 1/2 inch tall, solid brass Bracket Clock top handle. 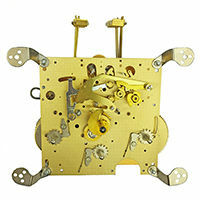 A Bracket clock is a square clock with a square dial, this is the handle that mounts to the top of the clock case. 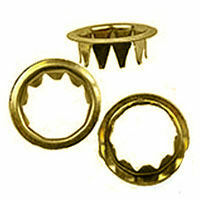 Mix BushingsSolid brass bushings in a pack of 100 assorted outside and inside diameters. Bushings are needed when the pivot holes become oblong instead of round. 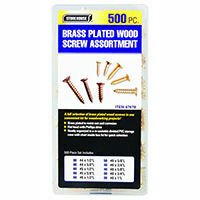 Machine ScrewsSmaller machine style screw assortment that comes in a pack of 50. 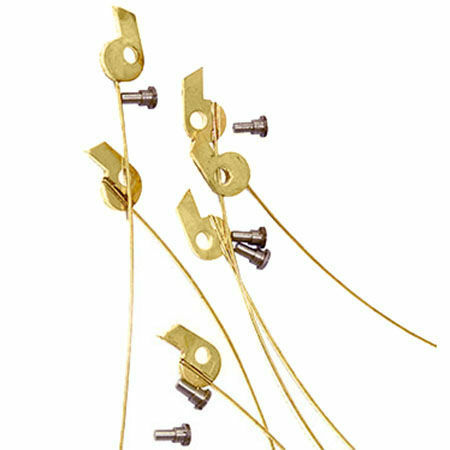 Clock HairspringsAssortment of 72 clock hairsprings with there collets. 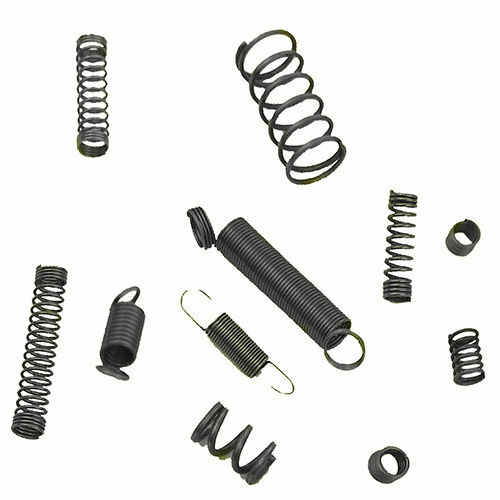 There are various sized springs as well as various sized collet diameters in the center. 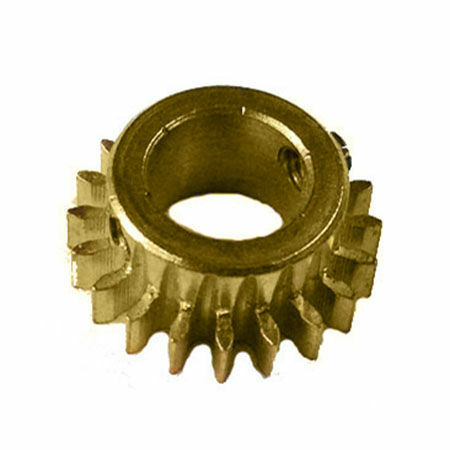 Verge AssortmentA verge is what engages with the escape wheel. Variety pack of 9. 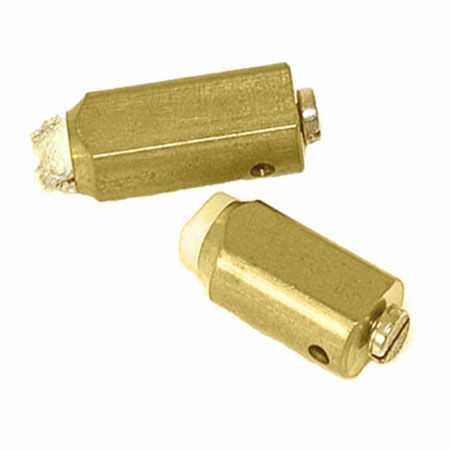 Bend and cut them to fit your application. 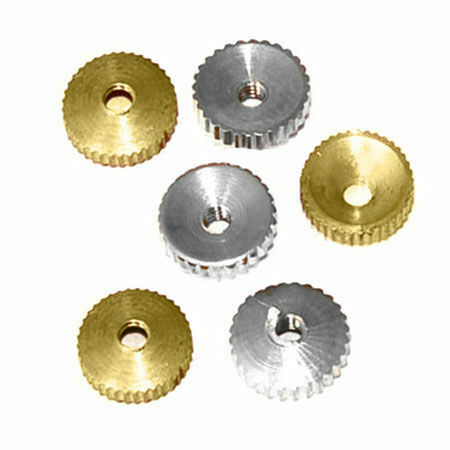 These are for escape wheels that are outside of the clock plates only. Movement BracketsDog ear shaped movement mounts. 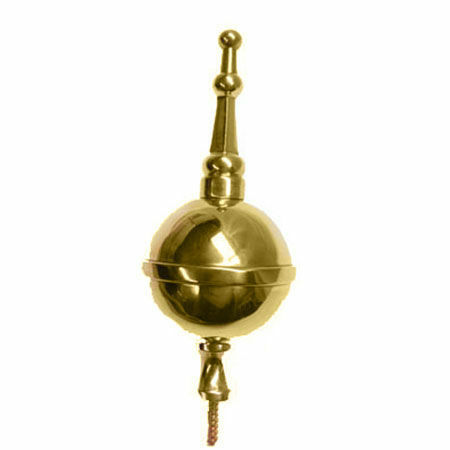 For front mount pendulum or balance German movements. 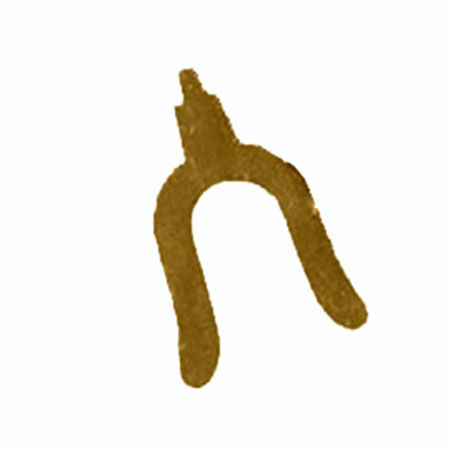 Comes as a set of four. Seat Board MountsFor modern German floor clock models that have a seat board. The rectangle washer goes under the seatboard and the screw goes up through it and into the movement posts. 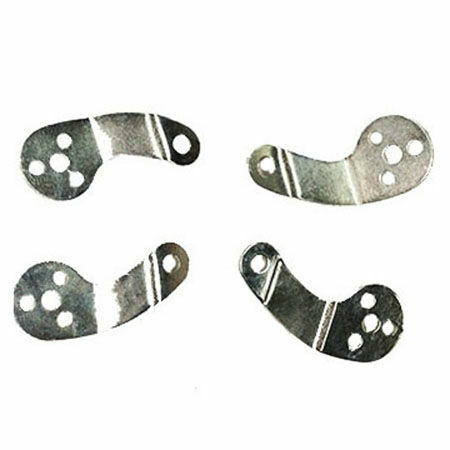 Comes as a pair of washers and screws as seen. Chime HammerThese are to replace missing hammers. Comes in 3 sizes, sold individually. Easy to mount with the included set screw on the end. 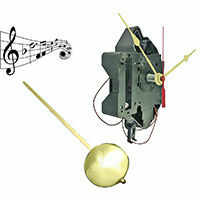 Hermle Moon GearMoon gear for Hermle floor clocks. 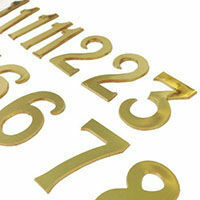 Please choose your movement number from the back plate of the movement itself. 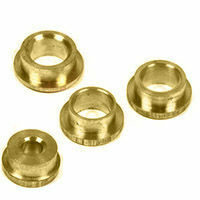 Dial Grommets x3Set of three dial key hole grommets. 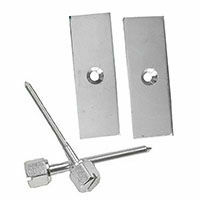 These are what make the key holes pretty where you wind the clock through the dial. 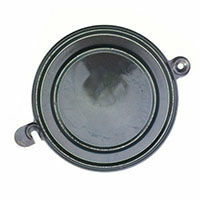 Case BackBlack metal clock parts case back for sound quality and dust protection on a mantel clock case. The round portion of this case back is 4 1/2 inches and then the hook part and the attachment portion sticks out more than this. 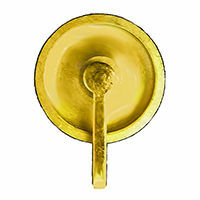 Spiral FinialBrass decorative spiral finial that is very heavy for its size. This is the top decoration for a grandfather clock case. The finial is 4 1/2 inches tall. Eagle FinialBrass decorative eagle finial that is very heavy for its size. This is the top decoration for a grandfather clock case. 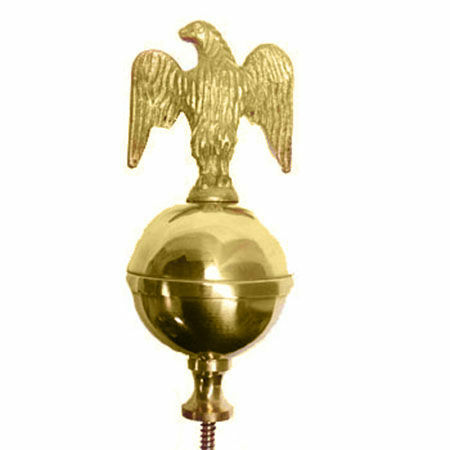 The finial is 4 1/2 inches tall. 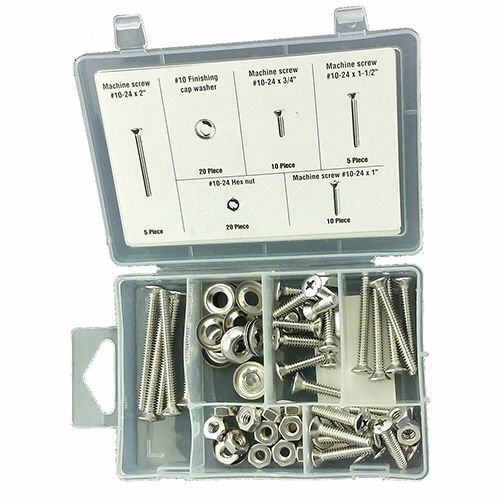 Count Wheel Clips x6Six count wheel clips. 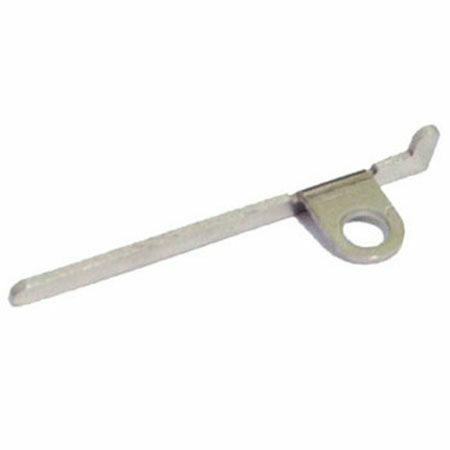 This is the clip that locks in the count wheel in the American count wheel time / strike movements. 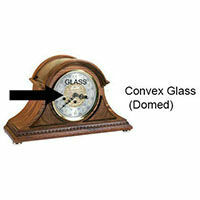 Convex Clock GlassRound glass that is domed out, in other words convex shaped. You would need to measure exactly how wide you will want the glass from one side to the other. This size must be able to fit into the clocks bezel without falling out and also not so big it will not clip in. Flat Clock GlassFlat round glass. 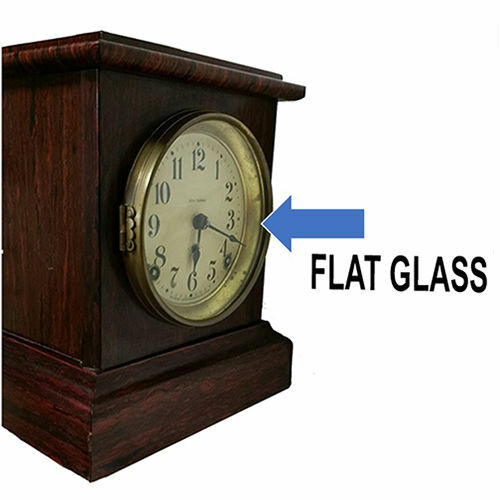 You would need to measure exactly how wide you will want the glass from one side to the other. This size must be able to fit into the clocks bezel without falling out and also not so big it will not clip in. Tall Case PulleyPulley for the tall case antique clock. 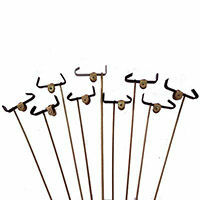 This is useful for the cable driven antique clocks for the cable to loop through and the weight to hang on. 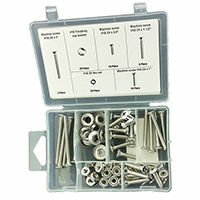 Chimeblock Mounts70pc chime block mounting screw set. 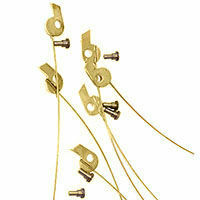 This is the most common thread size that is used for the chime block to mount to the wooden clock case. 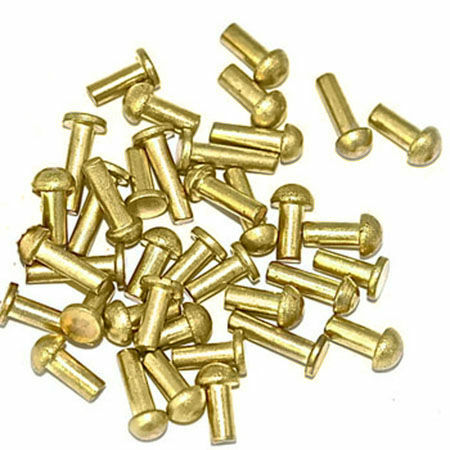 Usually the block is threaded for these screws. 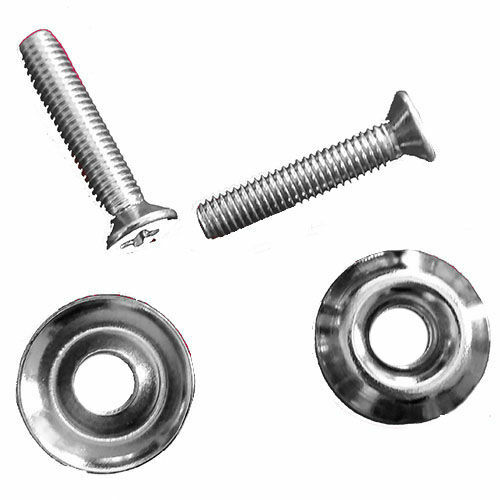 If the chimeblock holes are not threaded than the screw goes through and bolts on with the nuts provided. 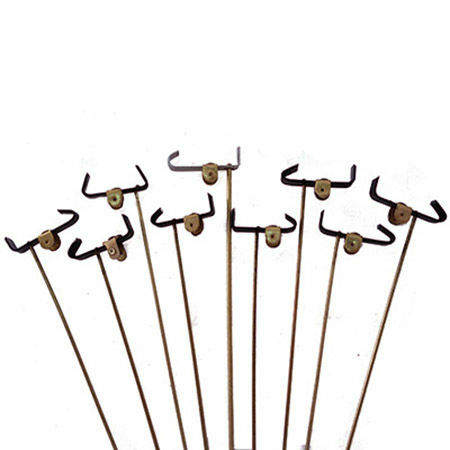 Small SpringsAssortment of small springs that can be used with clocks. 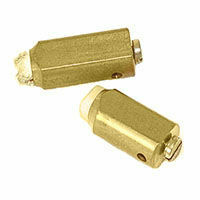 These are not made for clocks but are very useful to modify for clock repair.